Our conduct on the streams, lakes, and oceans where we have outings or go to independently is exemplified by an old Boy Scout motto, "Leave it better than when you found it." This includes strong encouragement for Catch and Release fishing, using barbless hooks. Our associations with key environmental, advocacy, education, and research organizations in the state, including CalTrout, Alameda Creek Alliance, UC Davis Foundation-Fisheries Research Scholarship, Putah Creek Trout, Fall River Conservancy, The Western Rivers Conservancy and Trout in the Classroom. 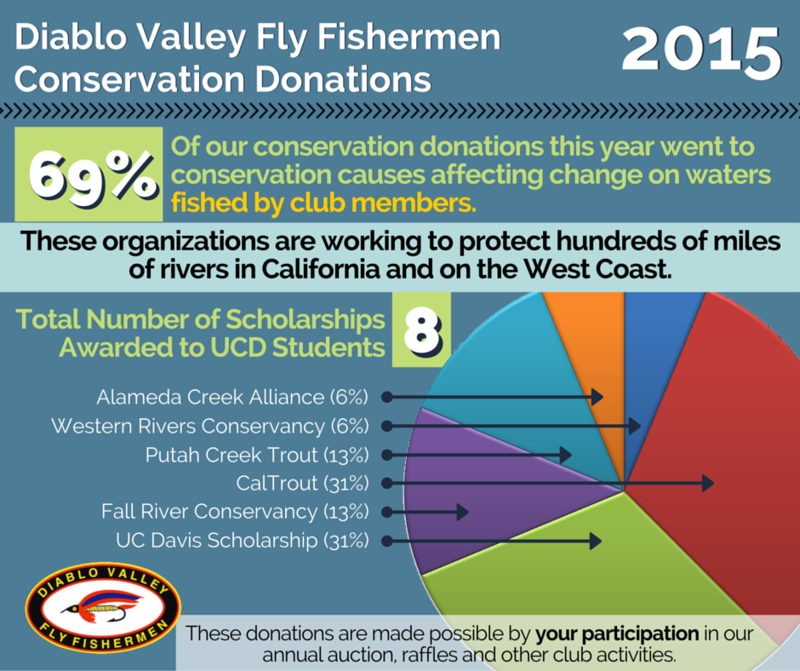 Our donations - almost one-third of the donations and dues we collect are contributed to these and other conservation causes. Our volunteer work directly supports conservation and in programs like Trout in the Classroom helps teach young students the value of conservation and the importance of salmonids to our environment and society. 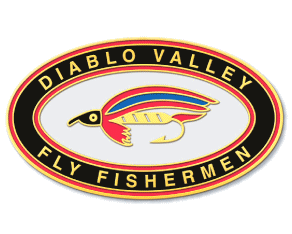 Strong vocal and written support by the DVFF and its members advocating state and federal laws and programs that will protect our fisheries. Our participation in conservation events through which club members can give back to the great sport we all enjoy. This includes projects to restore and enhance the fisheries in the rivers, streams, and lakes in our area.